A loyal dog waits outside of the hospital in vain for his owner, who passed away four months ago. A dog has waited outside of a hospital for four months in vain after refusing to accept that his owner will not be returning to his side. 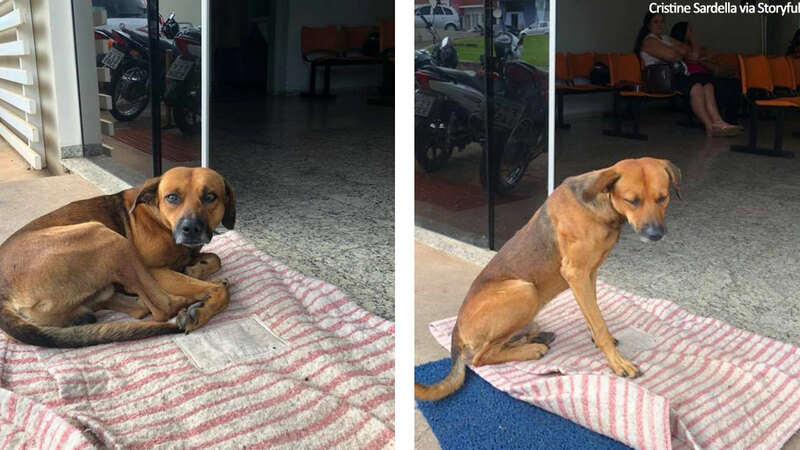 The dog's human companion, who was homeless, had been stabbed to death in Sao Paulo, Brazil. After the stabbing, the dog chased the ambulance carrying his owner to the Santa Casa de Novo Horizonte medical center, according to local reports. The dog has remained in the vicinity of the building, but has never tried to enter the hospital. Hospital staff, who quickly became accustomed to the dog's presence, have offered food and water to the dog. According to local reports, the dog had been picked up by a rescue organization, only to escape and walk over three kilometers to get back to the hospital. A hospital staff member is said to have decided to adopt the dog. However, the hospital director stated that the staffer will only take the dog when the dog is ready to leave his spot outside of the hospital.